Questions For Care Givers: Policies, Partners, Support. 1. What is the fee for your services? 2. Are your fee’s itemized according to the services provided? 4. What services does your fee cover? 5. Do you take insurance, if yes which types? 6. Do you offer a payment plan for your services? 7. Do you practice in a group? 8. How many partners do you have that assist you? if yes, will I have a choice of practitioners? 9. Do you plan to be away at any time during my prenatal care? 10. Do you do home births? 11. Do you do births at a birthing center? 12. Do you do births at a hospital? 13. Do you attend to the mother throughout labor? 14. How long do you attend to mother following labor and delivery? 15. Do you view birth as a natural physiological process? 16. What is your policy on routine intervention? 17. What is your policy on transportation to the hospital? 18. What role do you play in a hospital environment? 19. Do you practice natural childbirth using wholistic methods of care? 20. How many of your mothers have delivered without medication? 21. Do you require a prep before birth, such as shave or an enema? 22. What is your policy on fetal monitoring? 23. Do you use a fetascope, doptone (Doppler)? 24. Do you use continuous external monitor? 25. Do you use a continuous internal monitor? 26. Do you routinely use an IV (intravenous device)? 27. Do you allow mother to deliver in her own clothes? 28. Is the mother confined to the labor/delivery room or is encouraged to walk around? 29. Is mother allowed to move and change positions in labor? 30. Do you explain to mother what is going on during pregnancy and in labor? allowing her some choices and in volvement in making decisions? 31. Do you remain with mother continuously during labor, or do you have a nurse, apprentice, or doula stay with her? 32. How many can be present during a routine labor/delivery? 33. Who can be present during a cesarean delivery? 34. Do you allow apprentices, assistants, trainees, visitors to assist or watch during labor and delivery? 35. Do you allow apprentices, assistants, trainees, visitors who are not approved by the mother to assist? 36. Do you or does someone you recommend teach childbirth education classes? 37. 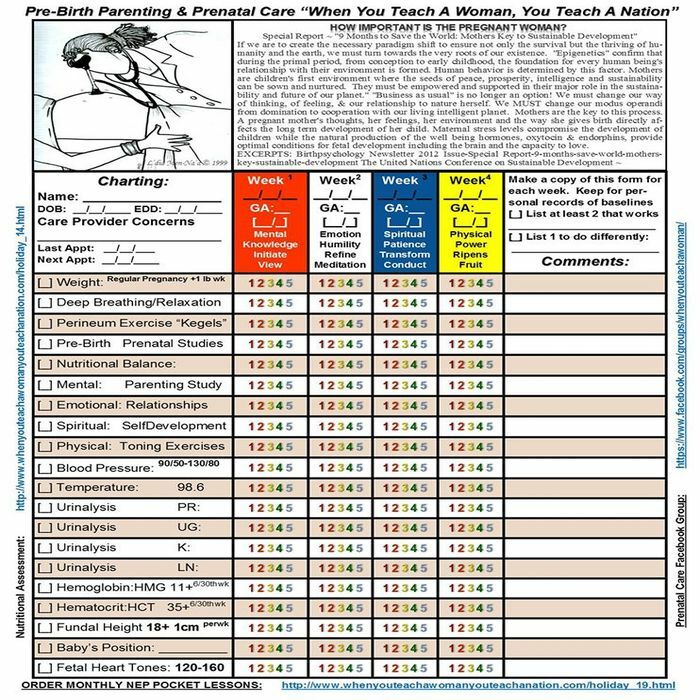 What do you recommend that a childbirth education class cover? 38. Under what conditions do you recommend amniocentesis? 39. Under what conditions do you recommend ultrasound?